Victorian Teacher Record Books from 1863-1959 have been microfilmed and are available at the Public Record Office (VPRS 13718). An index to these record books is online at http://prov.vic.gov.au/index_search?searchid=38 . 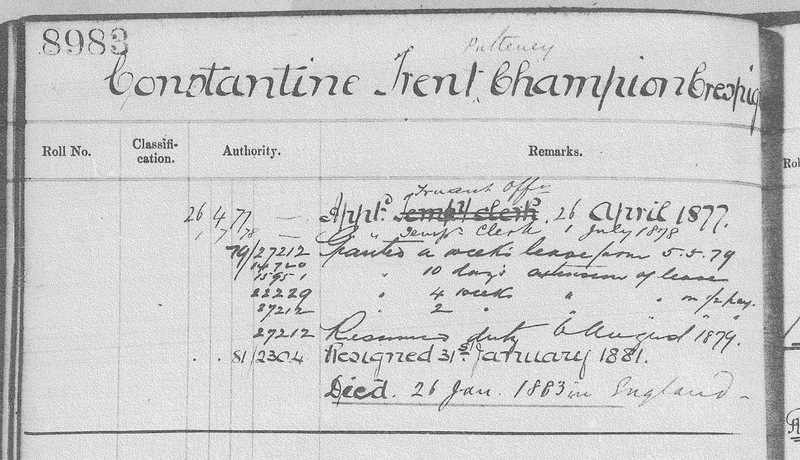 I find such online indexes worth checking for surnames I am researching and I found a record for Constantine Trent Champion Crespigny, the name of my great grandfather. I was unaware that he had spent any time working as a teacher, so I retrieved the record from the microfilm. It was in fact his uncle, after whom he was named. I have previously written about Constantine Trent Pulteney Champion de Crespigny (1851-1883). It seems that the Teacher Record Books include records of Truant Officers. Records of teachers include the schools where they taught. 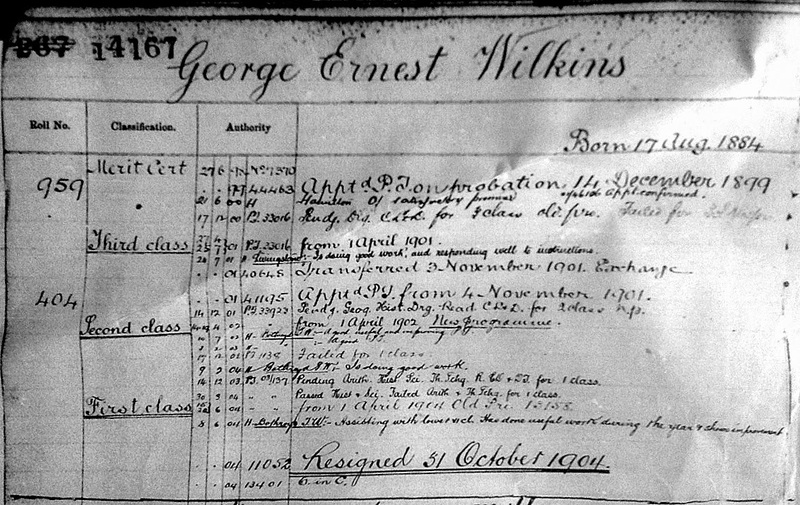 George Wilkins junior’s record gives his birth date, appointments, comments about his teaching performance and also his exam results. George appeared to have failed some of his exams. He resigned in October 1904. He died in 1909 in Western Australia. George’s sister Ethel Caroline Wilkins (1883-1955) also served as a teacher, from 1902 to 31 May 1904. She resigned the week before her marriage on 6 June 1904 to Charles Grose. Ethel was appointed Sewing Mistress (S.M.) at school 3022, at Warrenmang. Warrenmang, near Moonambel, is 23km north-west of Avoca in Central Victoria. School 3022 does not appear on the PROV searchable index. This is probably because records of the school, other than the building file, have not survived. Searching the National Library’s Trove newspaper site, I found a public tender notice in The Argus of 5 August 1904 concerning a tender for repairs to the residence and a brick chimney and learned that school 3022 was at Warrenmang. 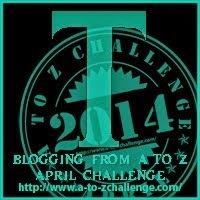 The school number is confirmed at http://victorianschoolhistories.weebly.com/schools-v-w-and-y.html. This website has indexed the entries from Vision and Realisation, A Centenary History of State Education in Victoria, a 3 Volume work published in 1973 by the Education Department of Victoria, which has a short history of each State School in Victoria.